Once mostly an adult problem, even children are beginning to snore as human jaws continue to shrink due to changes in the post-industrial age diet. No longer just a nuisance, snoring is actually a serious public health problem hiding in plain sight. In fact, it’s one of many symptoms of a cryptic epidemic that is just being discovered by the medical community. The most obvious symptom is the growing frequency of children with crooked teeth wearing braces. Other symptoms include slack jaws, frequent stuffy noses, mouth breathing, disturbed sleeping at night (sleep apnea), and a general decline in physical appearance. These symptoms indicate a growing, environmentally caused medical emergency that may eventually catapult dentists and sleep scientists to the front lines of public health. The emergency lies primarily in the collection of serious diseases connected with disturbed sleep, including heart disease, cancer, ADHD, depression, schizophrenia, suicide, asthma, and perhaps even Alzheimer’s disease. Disturbed sleep is an extremely serious stressor for the mind and body, depressing the immune system and making an individual much more vulnerable to a wide variety of health problems. It also modifies the brain in ways that are currently only partially understood. Add to this the large contributions of sleep deprivation to highway accidents, medical mistakes, and poor performance at work and in school, and you can see the importance of this unrecognized public health emergency. But what do snoring and disturbed sleep have to do with dentistry? 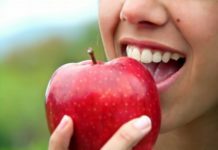 The answer is poor jaw development, an increasingly common trait that medical professionals have traced back 10,000 years to environmental changes caused by the agricultural revolution. It was during this period that vocational specialization became possible, and workers diversified into mechanics, priests, soldiers, scientists and so on. That, in turn, led to industrialization, and tremendous changes to the way people lived and ate. For example, pre-industrial children nursed for years and were weaned directly onto the tough, chewy foods that their parents ate. Suddenly, children were weaned much earlier and transitioned into a diet of soupy “baby foods” that required little to no chewing. Over time, children’s diets grew increasingly soft and liquid-like. Few kids get to gnaw on a tough buffalo haunch today. Instead, they feast on hamburgers, cakes, and candies that “melt in the mouth,” sugary soft drinks, and the like. Working mothers have had to stop nursing and start relying on breast pumps and bottle-feeding. The problem is, extracting milk from a breast actually exercises a child’s jaw muscles. Having milk poured into their mouths from a bottle, not so much. This lack of exercise causes poor jaw development, crowded, crooked teeth, impacted molars, and unattractive long faces with receding jawlines. To understand why is hardly rocket science — imagine how a child’s leg development would be stunted if they were not allowed to walk. (c) Sandra Kahn, DDS, co-author of Jaws: The Story of a Hidden Epidemic (Stanford University Press). One of the primary consequences of our shrinking jaws is inadequate room for teeth. An estimated 50 to 70 percent of children in the U.S. are currently being treated for “malocclusion,” or bad bite, but crowded, crooked teeth are actually only a modern phenomenon. Believe it or not, according to fossil records, our ancestors had no need for braces! And while the cost and inconvenience of braces are unfortunate, there are far more dire consequences to malocclusion. Smaller jaws mean less room for the back of the tongue, which can then slop back into the throat and cause snoring as the tongue vibrates in the partially obstructed airway. Once mostly common among adults, even children are beginning to snore as humans’ jaws continue to shrink. Many scientists believe that snoring is mainly a post-industrial phenomenon as well, as there would have been strong selection against any of our ancestors, hunted by leopards, that snored while sleeping outside on the African veldt. The bad news: snoring is a precursor to sleep apnea, in which the tongue blocks the airway entirely, and the lack of oxygen causes choking, awakening, and triggering of the sympathetic nervous system’s “flight or fight” response. That’s the serious stressor that increases the chances of nasty diseases. We need a determined and persistent educational program to push medical and dental schools to a more collaborative treatment of the epidemic. At home, treatment will require the careful and long-term cooperation of both parents and children who have not benefited from the preventive care with forwardontics. In both cases, determination and expense will be involved, but our hope is that many children and their families could avoid the medical consequences of poor oral posture and the high cost of correcting it entirely. Kahn and Ehrlich are the authors of JAWS: The Story of a Hidden Epidemic (Stanford University Press, April 2018). Ingervall B,Seemann L,ThilanderB.Frequencyofmalocclusion and need of orthodontic treatment in 10-year old children in Gothenburg. Swed Dent J 1972;65:7-21. Bjørk A, Helm S. Need for orthodontic treatment as reflected in various ethnic groups. Acta Socio Med Scand 1969; 14(suppl):209-14. J. P. Evensen and B. Øgaard. 2007. Are malocclusions more prevalent and severe now? A comparative study of medieval skulls from Norway. American Journal of Orthodontics and Dentofacial Orthopedics 131: 710–716. Melsen B, et al., Sucking habits and their influence on swallowing pattern and Prevalence of malocclusion; European J of Orthodontics, 1979, 1(4):271-280. Lieberman D.E., 2011. The Evolution of the Human Head. HarvardUniversityPress. E. P. Harvold, B. S. Tomer, K. Vargervik, and G. Chierici. 1981. Primate experiments on oral respiration. Am J Orthod. 79: 159–172. W. Proffit, H. J. Fields, and L. Moray. 1998. Prevalence of malocclusion and orthodontic treatment need in the United States: Estimates from the NHANES III survey. Int J Adult Orthodon Orthognath Surg. 13: 97–106; Proffit W, Fields HW Jr. Contemporary orthodontics. 3rd ed. St Louis: Mosby; 2000. D. Gozal, F. Hakim, and L. Kheirandish-Gozal. 2013. Chemoreceptors, baroreceptors, and autonomic deregulation in children with obstructive sleep apnea. Respiratory Physiology & Neurobiology 185: 177–185. J. R. C. Mew. 1981. The aetiology of malocclusion: Can the tropic premise assist our understanding? British Dental Journal 151: 296–301; J. R. C. Mew. 2004a. The postural basis of malocclusion: A philosophical overview. The American Journal of Orthodontics and Dentofacial Orthopedics 126: 729–738. Paul R. Ehrlich, Ph.D., has been a household name since the publication of his 1968 bestseller, The Population Bomb. He is Bing Professor of Population Studies Emeritus and President of the Center for Conservation Biology at Stanford University. Ehrlich is a member of the National Academy of Sciences and a recipient of the Crafoord Prize, the Blue Planet Prize, and numerous other international honors. He investigates a wide range of topics in population biology, ecology, evolution, human ecology, and environmental science. His latest book is "Jaws: The Story of a Hidden Epidemic," co-authored with Sandra Kahn, DDS, published by Stanford University Press. Dr. Sandra Kahn, D.D.S., M.S.D., has twenty-five years of clinical experience in orthodontics and is part of craniofacial anomalies teams at the University of California, San Francisco, and Stanford University. She practices pediatric sleep apnea prevention and whole-body treatment, lectures internationally, and is a co-author of Jaws: The Story of a Hidden Epidemic.